Pigeon Point Light Station or Pigeon Point Lighthouse is a lighthouse built in 1871 to guide ships on the Pacific coast of California. 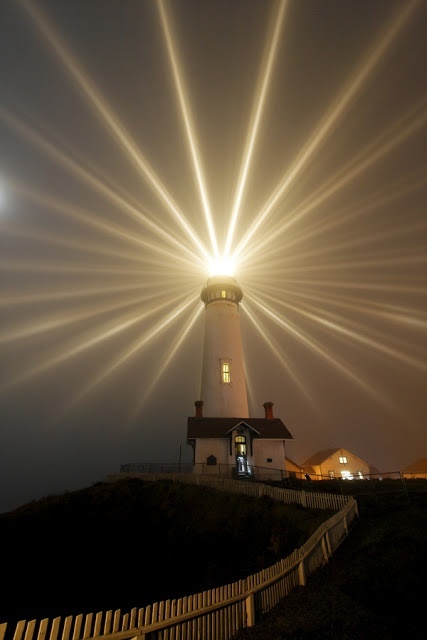 It is the tallest lighthouse on the West Coast of the United States. It is still an active Coast Guard aid to navigation. Pigeon Point Light Station is located on the coastal highway, 5 miles (8 km) south of Pescadero, California, between Santa Cruz and San Francisco. The 115-foot, white masonry tower, resembles the typical New England structure. Because of its location and ready access from the main highway, Pigeon Point entertains a large number of public visitors.